A magnificent kitchen/dining room combination highlights the Poplar. The optional bump-out window enhances the home’s appeal. 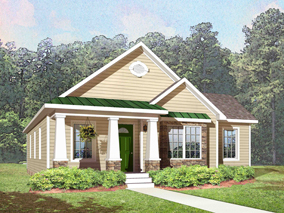 Three bedrooms and two full baths complete the design of this ranch home.